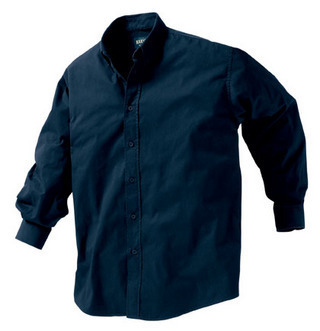 Douglas - cotton twill shirt with button-down collar & no pockets. Engraved buttons & discreet embroidery at right sleeve slit. Garment stone washed for that extra soft feel. 100% cotton. Colours available - khaki, navy-ink, white. Sizes - S-XXXL.